For an African, leaving home has been seen usually as a way to become the next big thing, especially for athletes, and more especially, for footballers. 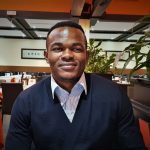 The toils and sweats usually go unrecorded, unnoticed and unobserved, but you are still expected to make lemonades out of the little lemons you get and that precisely explains the story of former Inter Milan, Chievo, Lokomotiv Moscow and West Ham attacker, Victor Obinna Nsofor in Europe. Travelling to Italy for the coverage of the Copa Italia game between Inter Milan, Obinna Nsofor’s former club and SS Lazio from Rome, was fun. With many majestic edifices and outrightly beautiful people with an excellent fashion sense. I instantly understood why the country known as the fashion capital of the world as well as a hub for tourism. The journey also brought the refugee story close to home as I saw a whole lot of black young men hanging around the central station as well as other African men and women, hustling and going about life to make a living. It was a wonderful time in a beautiful country, but my chat, a very long one with the former Super Eagles striker, who now lives in Milan, Victor Obinna Nsofor made it even more beautiful. He picked me up at the Milan central station, with his small but pretty Volkswagen Golf 7 GTS, and we drove to a nice Chinese restaurant some streets away from the train station. He was wearing a long sleeve shirt under a cardigan and a winter jacket over a nice pair of jeans trousers and for shoes, he had his winter boots on. Around his neck was a Luis Vitton scarf and on his wrist was a Rolex wristwatch. He looked very well put together, calm and as usual, confident. Very impressive for a player who has been without a club for a year. Nonetheless, I still expected to see one of those exotic sports cars or SUVs that footballers usually drive. it was good to see him again, after we met in 2016 in Duisburg for an interview, while he was still playing in Germany. We managed to find a parking space. That means a lot in a cosmopolitan city like Milan. He quickly squeezed his car into it, and we walked into the Chinese Restaurant. As we take our seats, I told him how beautiful the city of Milan was. “Thank you for the compliment about our city, Milan,” he returned, ” I hope you enjoyed the game yesterday (Inter Vs Lazio) even though my team Inter lost.” He asked. We chatted as we enjoyed our delicious meal, some good pasta. 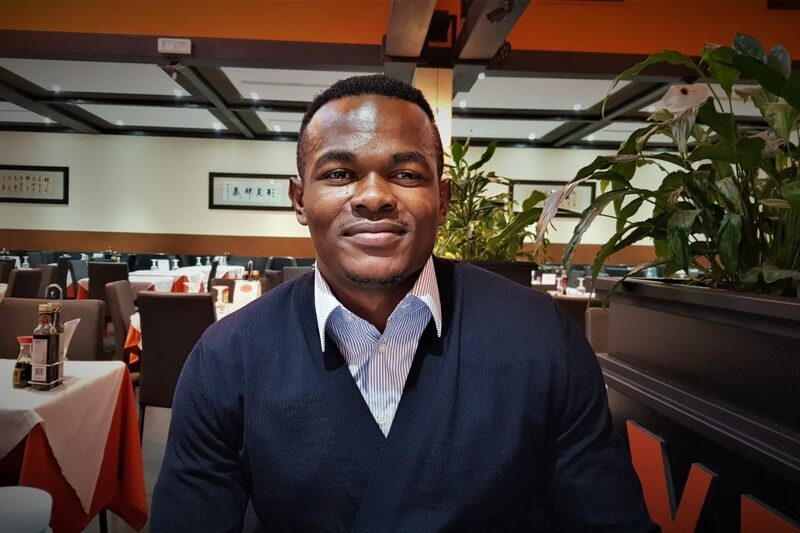 We spoke about the time Obinna was at Inter Milan, how he left Nigeria at a young age in search of greener pastures in the cold weather of Europe. No! 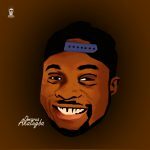 The difficulties couldn’t have darkened the good times but Obinna, like many other Nigerian footballers didn’t have it all rosy, at all. But the good seems to outweigh the challenging times. Just beside us, I could hear a man speaking in Edo language, and it felt as though we were inside a typical pub in Lagos Nigeria. How hard Nigerians try! How far we move! We began to talk about his time at Inter under Jose Mourinho, as I wanted to know his mind on Mourinho and the sort of manager the Portuguese tactician is. “While I was in China, representing Nigeria at the Olympics, Mourinho called me, “The Olympic in China? I asked for clarity. “Yes, the Olympic in China where we played against Messi, Di Maria and Aguero and won the Silver Medal. Di Maria was the one who caused us more troubles on that night.” I think you guys focused too much on Messi thereby giving Di Maria the room to wreak havoc,” I said. “I think the truth about the China Olympics was that most of our players were vastly inexperienced. For example, The build up to Argentina´s goal. Onyekachi Apam was on Di Maria, and Vanzekin (Goalkeeper) shouldn’t have come out. He should have stayed in goal because Apam was already on Di Maria. But he came out thereby giving Di Maria all the space in the world, and he just chipped it in. ”When I was at the Olympics, he (Mourinho) called me personally that he wanted me in the team. That call came as a surprise to me because I wasn’t expecting it at all. “I teamed up with others after the Olympics, and honestly, I wasn’t expecting to start playing immediately. We had Ibrahimovic, Adriano, Crespo, Figo, Balotelli, Cruz, Amantino Mancini, all vying for places in the attack, and I had to fight for a place too. We had real men! “Mourinho had matured players at Inter. It was only myself and two others that were young stars: Balotelli, Santon and one other. But the others were mature players. Almost all of them had champions league and world cup experience. He didn’t need to tell these big players much, but Mourinho came and instilled his winning mentality in us. “The first time in my career that I had pre-match talks of not more than 15 minutes was with Mourinho. Other managers that I have worked with were different. Sometimes, a pre-match talk would last for over an hour, and some players will be dozing off. They sometimes tell you things that are as elementary as how to cross the ball. With Mourinho, it was precise and quick. 15 munites, it was over. “Yes, he is arrogant and stubborn, but that is because he knows what he wants at all times and such people are usually not liked. For me, Mourinho is the best I have worked with. Were you surprised that you had enough playing time notwithstanding the array of stars in the team as at then? I asked him. “Yes I must be honest with you, but that is why I like Mourinho,” he said. ” If you are a good player, you will play under him regardless of your age and status. Even Quaresma was also in the team. I say this so you can understand how packed the group was then. I played regularly from September when I arrived from the Olympics till January before trouble started. Trouble started when the management of inter decided to scale down on the team because it was top heavy with too many strikers. 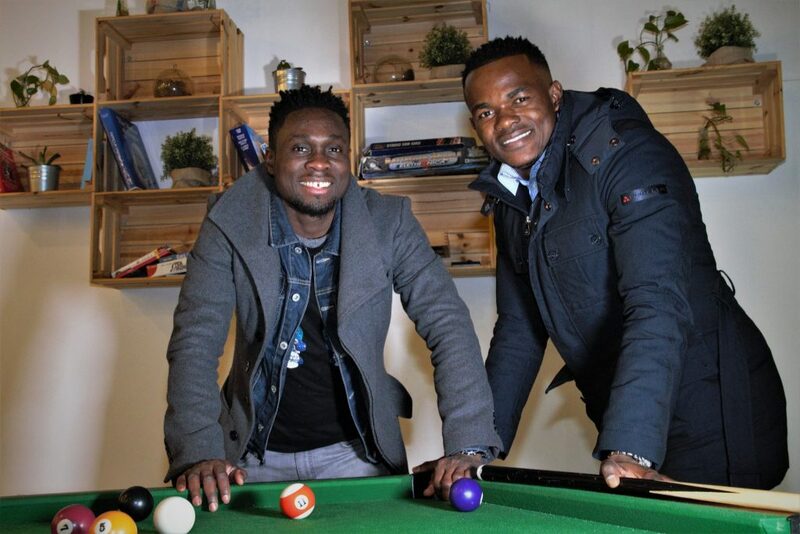 Obinna was one of the players that were asked to leave, but he was adamant because he was asked to go to Real Betis, a team battling relegation in Spain. Obinna remained at Inter till June 2009 and won the Scudetto before leaving for Spain but not to Real Betis but Malaga. 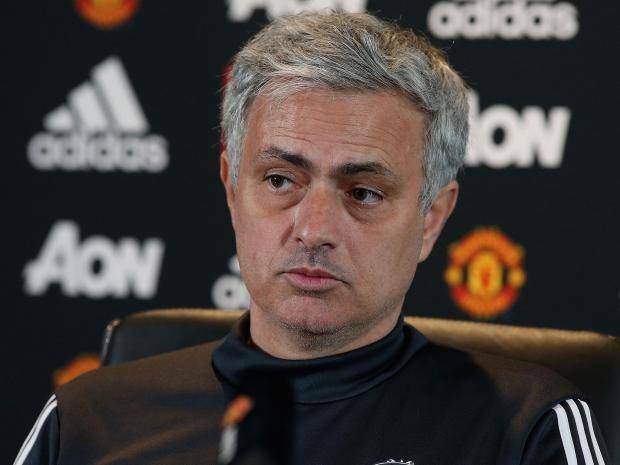 He revealed what Mourinho told him after he had approached the former FC Porto manager’s office to inform him of what the inter management had old him. ”I want to keep you here, but they want you to leave, and there’s nothing I can do,” he quoted Mourinho to have said. Obinna played 12 games and scored one goal during his time at Inter with Mourinho. So Inter bought you from Chievo Verona, I asked him. ”I was initially an Inter player.” He said. “Unfortunately, they couldn’t sign me then, in 2005 because there was no space for foreigners. Hence they sent me to Chievo Verona. I came to Europe through Inter Milan. How did they notice you? I asked him. “They saw me at a Youth Championship,” he said. Nsofor missed out on the 2005 WYC in Holland due to some hitches he faced but was invited by the Super Eagles for the 2006 AFCON in Egypt. You can call Obinna a journeyman, and you wouldn’t have sinned. Despite his forays to other countries in Europe, his intelligence helped him secure a permanent residence in Italy, and now he has gotten his Italian passport, after almost 15 years in the country. “You broke the internet when you got your Italian passport,” I said to him. He said you are very funny (laughs). 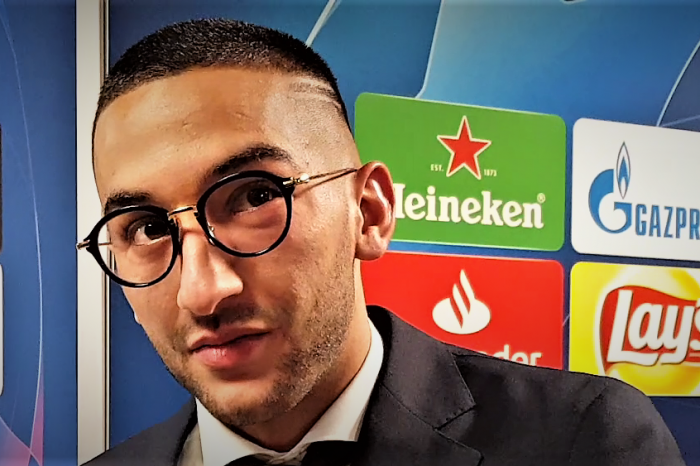 “Well, I did that first to glorify God and secondly to announce to those who had told me getting an Italian passport will enhance my chances of securing a club.” And how has that helped your chances, I asked him. “It has not been as easy as I thought, I must be honest with you,” Obinna said. 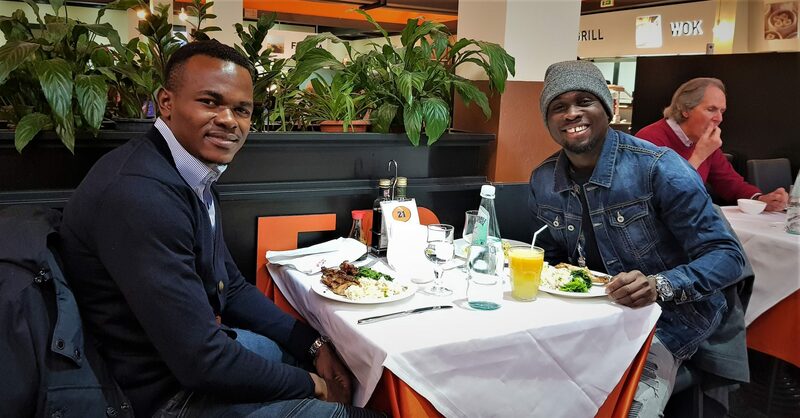 Having an Italian passport was thought out as a leeway to better opportunities, but it hasn’t been all Uhuru for the former Cape Town FC attacker, however, that smile I saw on Obinna only signifies a lot of confidence and security in contentment. Yet, he aims for more. Obinna told me he worked hard to get the valid documents to obtain an Italian passport. Alas! It came after a 3-year wait. “The intelligent thing that I did was to retain my Italian residence permit still, even though I was going out on loan. I did not take out my residence permit because if I had done that, my application for an Italian passport would have been turned down. I bought a home here and did all that was required. Have you stopped playing football? I asked him. We spoke about Nigeria and the mentality of entitlement displayed by Nigerians. “I do not have the Nigerian mentality, he said. “But unfortunately, well maybe not, unfortunately, I still have a lot of work to do as it concerns my family because I can’t abandon them, irrespective of my mentality. However, there’s the need to be very smart, because to break the cycle of poverty or carry everyone along is not easy at all especially when you have a large family.” He concluded. We left the restaurant, and our next hotspot was yet another definition of how Africans do it in Europe. Obinna took me out to the barber’s shop, and I had an excellent haircut, from an African brother named Thomas, a Ghanaian who is famous for being the go-to man for the hair cut of African football stars in Milan. You can’t doubt how hard Africans or Thomas works in Milan. We spoke about many things including how difficult it is for Africans in Italy. He explained how difficult it is for African players to climb in Italy, and that’s because ”we are at the bottom of the food chain.” He said. “Like what happened at Inter. Despite all I gave on the pitch I was still asked to leave the team. It is not easy for African players in Europe, he added. Thomas, the barber began to serenade me with sweet stories of the African stars who he offers his services in Milan. 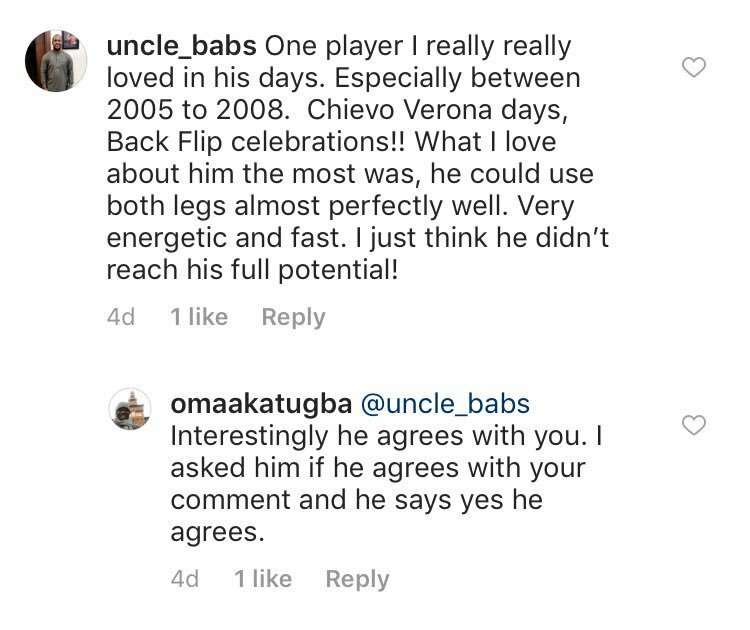 Obafemi Martins, a former teammate of Obinna Nsofor in the Super Eagles, enjoyed much of the praise from Thomas who said Martins is the most beautiful African player he’s had around. ”He came here to cut his hair one day and gave me and everyone here a €100 each. I was startled,” he said. Obinna further corroborated Thomas’ claim on Martins. He said the former Inter Milan hotshot is a genuinely benevolent person. He gives without batting an eyelid. He narrated the story of one of his visitors and himself. They had visited Martins while he was new in Milan. “The first time in my life to receive a €100 bill from anybody was from Obafemi Martins. Martins also gave Obinna’s friend €500. I’d posted a picture of myself with Obinna at the restaurant on Instagram, and a young man commented on his admiration of him. He uses both feet at the equal ferocity and somersaults to celebrate when he scores. The fan said. He, however, didn’t live up to his potential. I showed Obinna the comment and sorted his opinion, and he agreed, without an argument. He said he might have been better if he stayed put at Inter but does not regret going to Russia because “I made a lot of money playing in Russia,” he stated. However, chatting further he made me understand exclusively, that despite how famous he became by playing for Inter Milan, he was not earning as much as he did when he joined Lokomotiv Moscow in Russia. He was on loan at different times to West Ham, Lokomotiv, Malaga and others. After helping the Dream Team to a silver medal finish in Beijing 2008 Olympics, Obinna played further and was one of the most admired players in the Super Eagles at his time. Nigeria and Africa was our centrepiece of discourse at the barbing salon. He said his stay in Europe has only helped to brighten his chances, opportunities, vision, scope and understanding of himself and life better. He now speaks seven languages fluently, and that makes him a choice for future opportunities. We spoke further about his ambition after football. Quite resoundingly, he said he wouldn’t like to become a football players’ agent because that’s a job where it is easy to get on people’s nerves, endlessly. He said he wouldn’t want an association with football at all when he’s done playing. His next move is yet to be known as he’s stayed unattached mainly because clubs are not sure of his fitness, but we spoke about getting an agent who can get things done. A manager with clout and he agreed that one is important too. We left the barbing saloon and Obinna drove me to my hotel as the day began to run into the night. We got to my hotel, and we decided to play some rounds of billard before we finally say goodbye to each other. While getting ready to start our billard battle, his phone rang and on the phone was his Italian girlfriend. “She must be wondering where I have been all day,” Obinna said about his girlfriend. “She must have seen our picture I posted on my Instagram story. We quickly rushed through our game and then Obinna took his leave. My Italian mission wouldn’t have been complete without Obinna, a gentleman extraordinaire, it was indeed a mission accomplished, and it was great seeing places and faces, especially with a brother. Jose Mourinho releases official statement 24 hours after he was sacked by Manchester United. 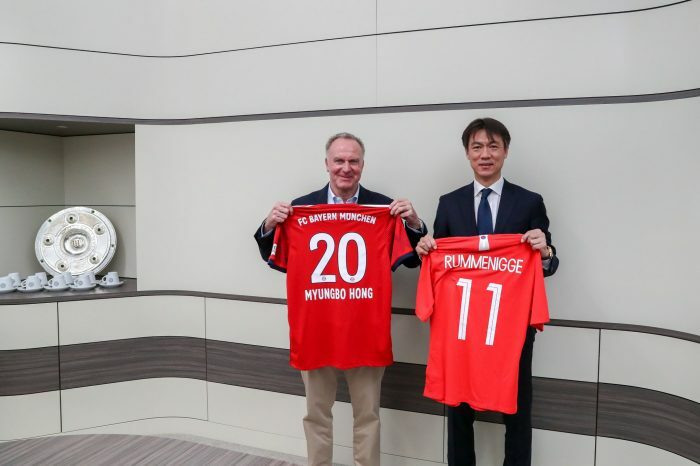 FC Bayern And South Korean Football Association agree partnership.